Abel Tesfaye, also known as The Weeknd, is an elusive and famously reclusive R&B singer. 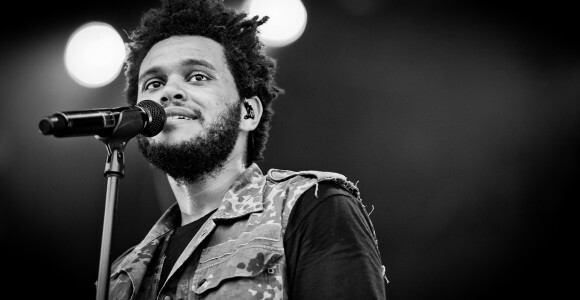 His latest effort, “Kiss Land,” sold 95,000 copies the week of September 10th according to Nielsen Soundscan. The album is his major label debut, and the sales were enough to give him the number two debut on the Billboard 200, being closely edged out of the number one spot by Keith Urban. The difference between Tesfaye and his chart-topping adversaries is that he has no charting singles or radio play whatsoever. The fact that he has only done one promotional press interview in support of the album proves that there is a different force at work here. In the heat of the album being released, Tesfaye released a visual for “Live For” featuring Drake as well as doing an ask all Q&A on reddit. In addition to these, a 24 hour campaign was promoted on his social media sites giving the fans a chance to meet him. Outside of these things, his album was marketed purely without the use of a single or radio. Though it didn’t reach the number one spot, his story is as good of a testament as anything to the changing times in the music industry.